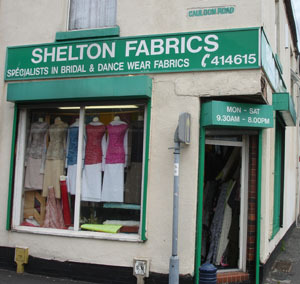 I have a shop in College Road, Stoke – Shelton Fabrics. 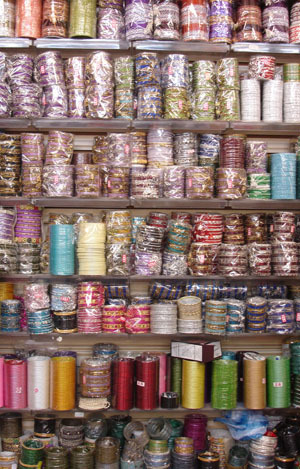 I buy textiles, jewellery and accessories from a wholesaler in the UK. The market for what we sell is almost exclusively female. In the 1970s though, I worked in the pottery industry. I worked for about a year as a general labourer at Hostess Tableware in Longton. Then I went Biltons. I was a trainee maker for about three months, and then I was employed making saucers on the making machine. My children don’t work in the industry. It was important to me that they were educated, and my daughter is at Staffordshire University now, studying to be an accountant.